Fill out our simple form and get quotes from local stage hire companies. Provide your performers with the best possible platform to showcase their talent and entertain your guests. 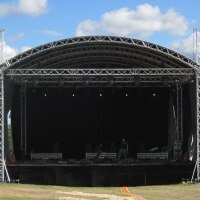 From big scale festival stage hire to smaller stage hire for marquees or wedding parties, our suppliers have it covered. Our indoor stage has grey carpet with black skirt. The outdoor stage has anti slip footing. Adjustable feet from 2ft - 3ft. Can also provide rails and steps. Our Milos MR1 stage come in 2 sizes 6 x 4 meters and 6 x 8 meters , full production including sound and lighting can also be provided . We hold in stock a vast amount of staging & accessories for any big or small event. 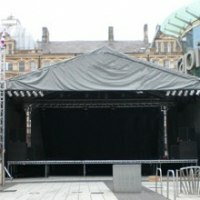 As well as this we also have stage covers if your event is outside. What size stage do you need? Please specify what unit of measurement you have used. If you're not sure of the space available yet, please leave this step blank. 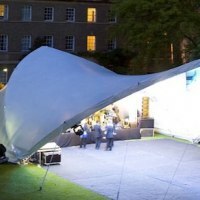 Portable staging is available in many forms to suit a range of different events, entertainers and venues. 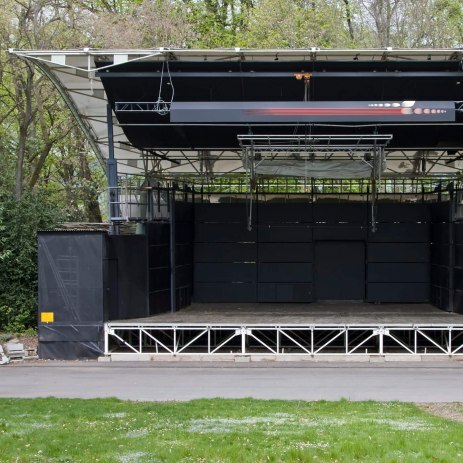 It will usually be built up in sections for you, so that you have a mobile stage perfectly tailored to your requirements. 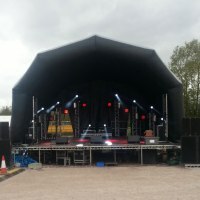 Festival stage hire is essential to ensure performers are seen and heard from afar, and outdoor stage hire is useful for all kinds of events. Flat raised stages for bands, tiered stages for choirs, catwalks for fashion shows and even specialist stages for illusionists and stunt acts are all available to hire. To get a quote for stage hire specifically for your event simply complete a free quote request form here.